This listing is for the pattern only. 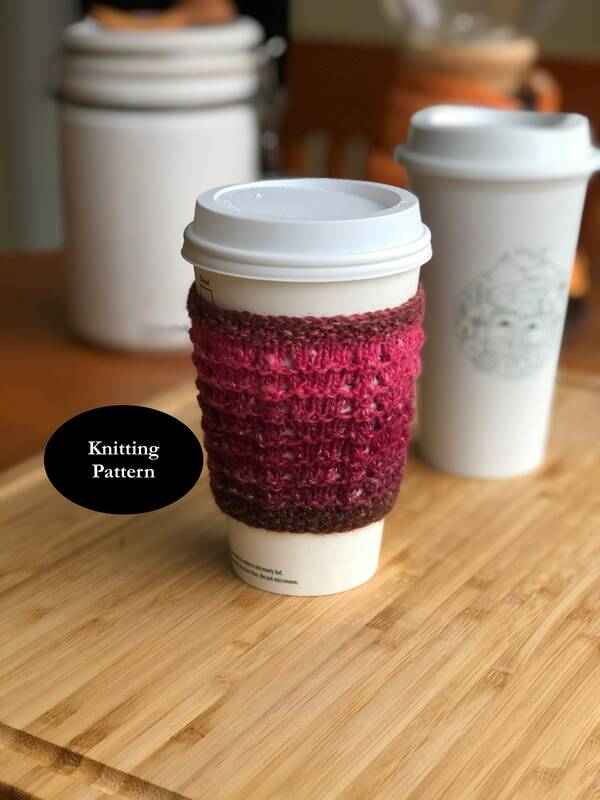 Pattern is available for immediate digital download in .pdf format after checkout. 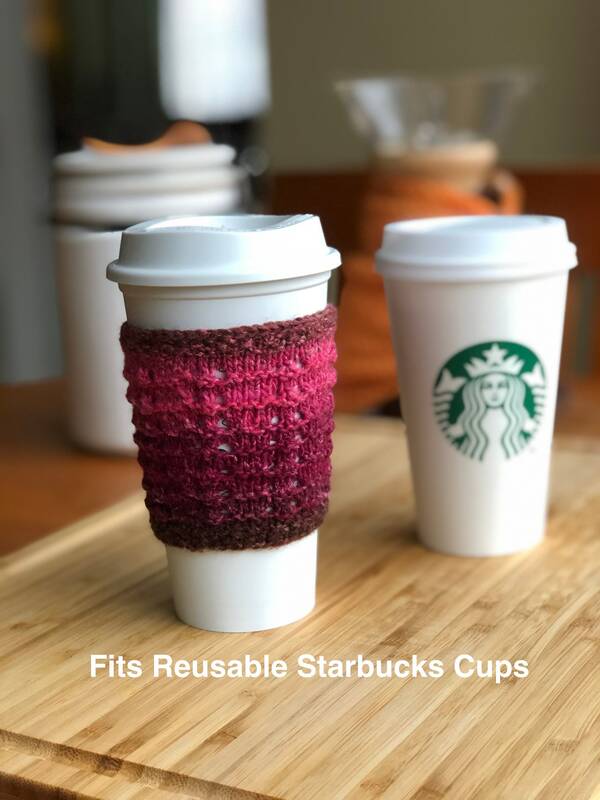 This knitting pattern is for a cup sleeve which fits a Starbucks reusable cup, as well as, Starbucks Grande and Venti cups. 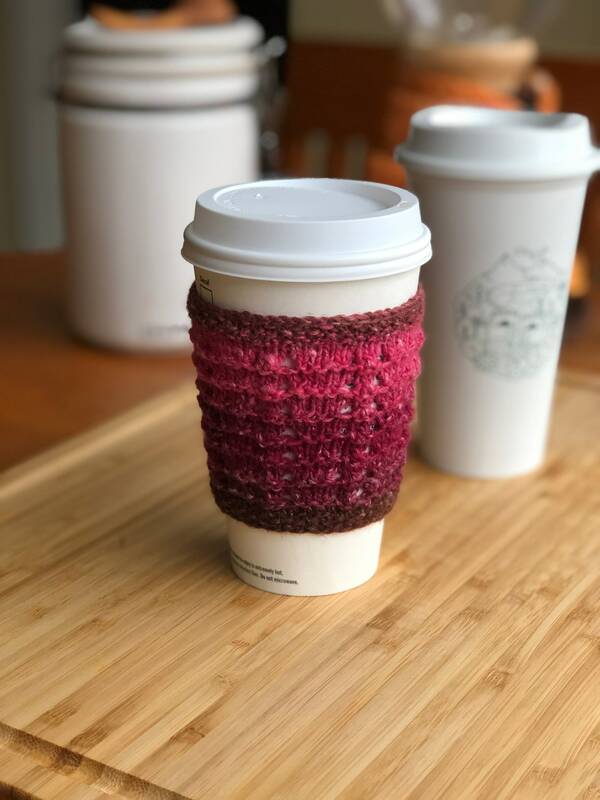 The garter stitch lace pattern provides a nice grip on the cup while keeping your beverage warm and your hand comfortable. 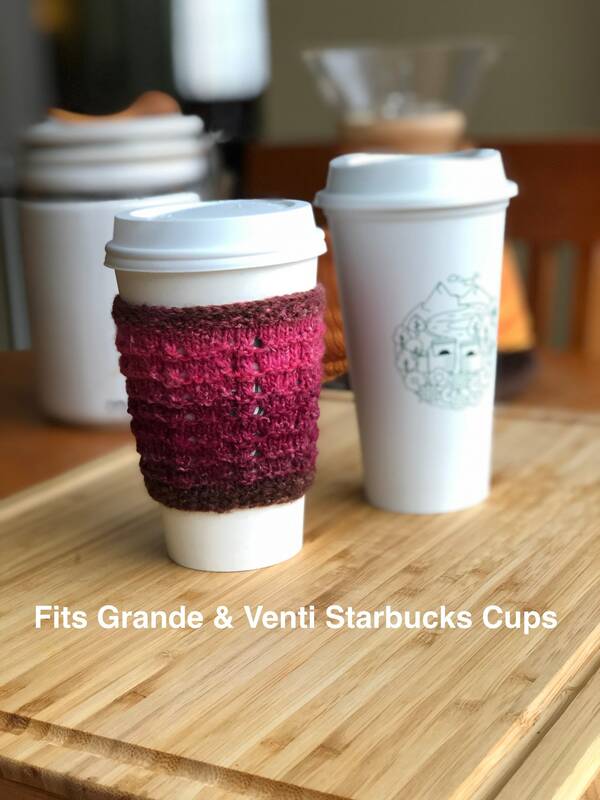 The cup sleeve is knit from the bottom up with graduated increases as to fit snugly on the cup. 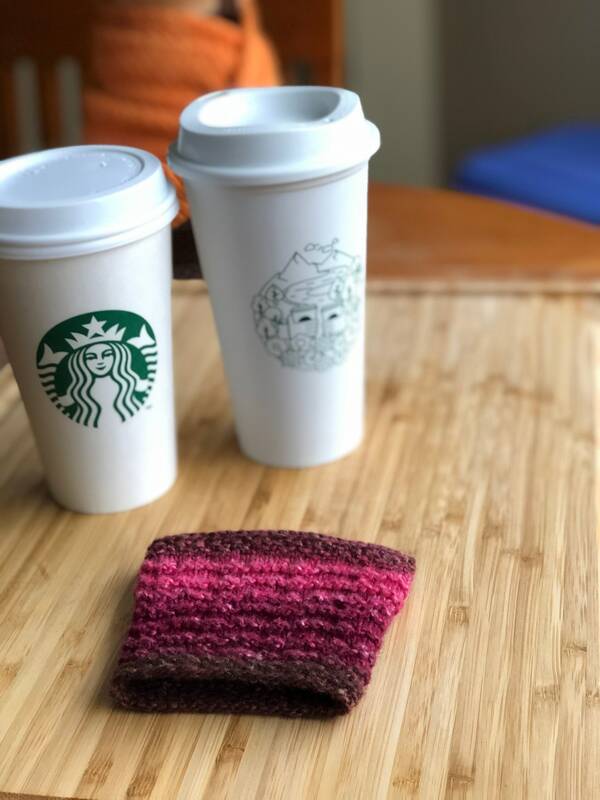 The cup sleeve is worked in the round using your circular knitting method of choice; for example, DPN's, two circular needles, or magic loop.